The ferry port of Ullapool is situated on the shores of Loch Broom and is a beautiful 1.5 hour drive from Dornoch. 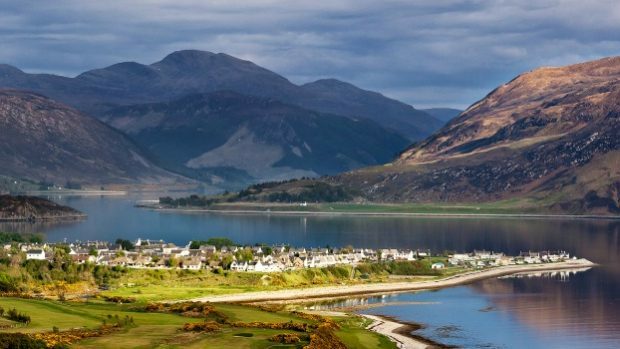 This charming village is surrounded by intense natural beauty including mountains, lochs and stunning shore lines. Ferries go daily to Stornoway on the Isle of Lewis. The village has a small museum housed in a Telford Church, An Talla Solais, an arts centre with frequently changing exhibitions and workshops, a swimming pool and fitness centre, shops and several pubs. In May every year there is the three-day Ullapool Book Festival which attracts a diverse range of writers and with work in both Gaelic and English and in September the 2 day Loopallu music festival hosts events across the village and brings thousands of visitors, doubling the local population! Thanks to knockan-crag.co.uk for the picture.